Here is a collection of different Excel Utility, Tools etc. which may be useful for West Bengal Govt. Employees. All these utilities are created with lots of effort, so we need some favour from you. Please share this to as many people you know. Stay tuned for more. Thanks. This Excel Utility will calculate and generate Account Slip of P.F. for Normal/ Retirement/ Death cases. Rate of interest from the financial year 1996-97 to 2018-19 is auto filled. 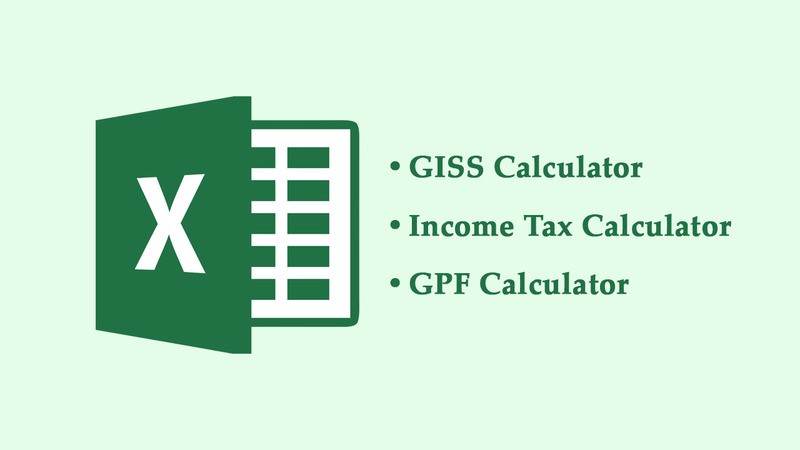 Simple Income Tax Calculator 2019-20 is an Excel Utility which calculates Income Tax of Salaried Person. It also prepares Form 16, Salary Statements, HRA Exemption etc. Standard deduction for salaried person and pensioners Rs. 50,000/-. This Excel utility will calculate the accumulation of savings fund under 1983 and 1987 Scheme (November, 1999 to April, 2019). This Excel Utility calculates Income Tax of Salaried Person. It also prepares Form 16. This is the lite version of the Income Tax Utility. It has been prepared specially for the employees having simple salary profile. This Excel utility will calculate the accumulation of savings fund under 1983 and 1987 Scheme (November, 1999 to October, 2018). This utility will calculate the accumulation of savings fund under 1983 and 1987 Scheme (November, 1999 to October, 2017). This Excel utility will calculate the accumulation of savings fund under 1983 and 1987 Scheme (November, 2016 to October, 2017). This Excel Utility calculates Income tax considering Interim Relief w.e.f. 01.07.2016. This Excel utility will calculate the accumulation of savings fund under 1983 and 1987 Scheme (November, 2015 to October, 2016). This Excel utility will calculate the accumulation of savings fund under 1983 and 1987 Scheme (November, 2014 to October, 2015). This Excel utility will calculate the accumulation of savings fund under 1983 and 1987 Scheme (November, 2013 to October, 2014). This Excel utility shall prepare Single Comprehensive Form for superannuation pension case only. This Excel Utility will calculate and generate Account Slip of P.F. for Normal/ Retirement/ Death cases.